Caruana was a four-time Italian national champion, and is the current U.S. champion. He is currently the third highest rated player in the world, and the second highest rated in the U.S. with a FIDE rating of 2817(URS 2776). The defending United States Champion whose rapid advance into the elite ranks of chess has earned him the reputation as the next rival to Magnus Carlsen for the world championship. The 24-year-old was introduced to chess through an afterschool program as a five-year-old in Brooklyn, New York, living near Bobby Fischer’s childhood home. That same year, he played in his first tournament at the Susan Polgar Chess Center in Queens, New York. This landed Caruana his first coach, NM Bruce Pandolfini. In 2014, Caruana achieved two impressive results - he placed second behind Magnus Carlsen in the World Rapid Championship and won the Sinquefield Cup with a remarkable score of eight and a half out of ten. 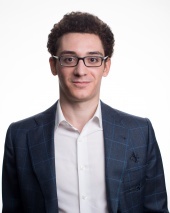 In early 2015, after spending ten years as a member of the Italian Chess Federation, Caruana rejoined the United States Chess Federation as one of its strongest members. Caruana made 2016 one of his most successful years to date. In addition to winning his first U.S. Championship, he placed second at Tata Steel and played first board for the gold medal winning U.S. team at the 42nd Chess Olympiad. Wesley was the winner of the 2014 Millionaire Open, the 2016 Grand Chess Tour, and the 2017 Tata Steel Masters. He is the 2nd highest rated player in the world and the highest rated player in the U.S. with a FIDE rating of 2822(URS 2782). Wesley learned chess from his father at age 6 and was competing in junior tournaments by 9 years old. By earning his Grandmaster title at the age of 14 years, 1 month, and 28 days, So completed the trifecta as the Philippines’ youngest-ever National Champion, International Master and Grandmaster. In October 2014, So won the inaugural Millionaire Open in Las Vegas along with its $100,000 prize, then returned to Saint Louis to lead the Arch-Bishops to their first-ever U.S. Chess League championship. So participated in his first world-elite tournament with a fourth-place effort in 2014 at the 77th Tata Steel Chess Tournament in Wijk aan Zee, Holland, though returned in January 2015 and tied for second place, just a half-point behind winner World Champion Magnus Carlsen. 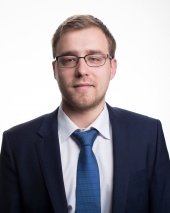 Wesley also participated in the 2015 Sinquefield Cup as the wildcard selection. 2016 proved to be a great year for the American Grandmaster, who secured the 2016 Grand Chess Tour title by winning the Sinquefield Cup and the London Chess Classic. So also played third board for the U.S. team at the 42nd Chess Olympiad. In January of this year he won the Tata Steel Masters and became the eleventh player to surpass an ELO rating of 2800. 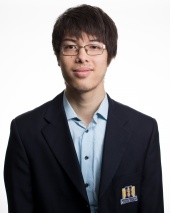 Hikaru won the U.S. Championship four times, and he has won the Gibraltar Chess festival for the past three years. 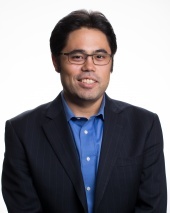 GM Nakamura is currently the sixth highest rated player in world, and the third highest rated player in the U.S. with a FIDE rating of 2793 (URS 2785). Nakamura has collected numerous titles and championships since the age of 13, when he first arrived onto the national scene by becoming the 2001 U.S. Junior Champion. He quickly confirmed his place as one of chess’ great elites, shocking the world with a sweet sixteen appearance in the 2004 FIDE World Cup. His accomplishments do not end there. 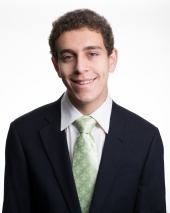 Among them, he was awarded the prestigious Samford Chess Fellowship. His honors include becoming the 2007 National Open champion and three time winner of the North American Open. He was an individual bronze medalist in the 2006 and 2008 World Olympiad, as well as the gold medalist on the first board of the 2010 World Team Championship, where the United States placed second. Ever since FIDE began publishing Blitz ratings, Nakamura has graced the top of the list, demonstrating his skill and speed. Nakamura won bronze at the FIDE World Blitz Championship in June 2014. Nakamura had another excellent year in 2015,he won the Gibraltar Chess Masters tournament, captured his fourth U.S. Championship, won the top prize at the Millionaire Chess Open, and propelled his FIDE rating in classical time controls to a career high of 2814. In 2016, he repeated first place finishes at the Gibraltar Chess Festival and the Zurich Chess Challenge, and also played for the U.S team that won the 42nd Chess Olympiad in Baku, Azerbaijan. 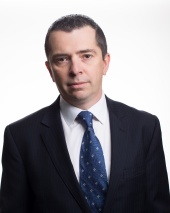 Earlier this year the esteemed American Grandmaster won the Gibraltar Chess Festival for the third consecutive year. 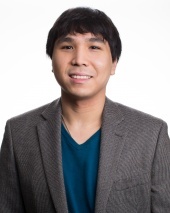 Ray won the 2012 Webster University SPICE cup open, placed second at the 2015 U.S. Championships, and he is currently the fifth highest rated player in the U.S., and #78 internationally with a FIDE rating of 2668(URS 2617). Sam placed third at the 2011 U.S. Championship. He is also the 2010 U.S. Junior Closed Champion; 2009 Champion of State Champions; 2008 World Under 18 co-champion; and the 2008 Calchess State Champion. Shankland recently won the 2016 Fargenes International, the 2016 Edmonton International, and also took first place at Biel Masters 2016. Additionally, he played on the U.S. team which took first place at the 42nd Chess Olympiad in Baku, Azerbaijan. GM Shankland is currently rated 2667 FIDE(2648 URS), making him the seventh highest rated player in the U.S. and #85 worldwide. When Sam Shankland was just 18, he announced he would be retiring from the game of chess. In order to honor his previous commitments, however, he agreed to play in one more event, the 2010 U.S. Junior Closed Championship, which he managed to win after facing back-to-back playoff matches against Parker Zhao and tourney favorite GM Ray Robson. That achievement offered him an automatic invitation to play in the 2011 U.S. Championship, which ultimately proved to be a difficult offer to refuse. Sam performed admirably at the 2011 U.S. Championship, edging out veteran GM Alexander Onischuk in a playoff to reach the four-player quad finals. There he ran into eventual champion GM Gata Kamsky, who topped him 1.5-.5. After his defeat, Shankland remained upbeat. “Just because I’m not in the running for first place doesn’t mean the tournament is over,” he said. “Plus third place sounds cooler than fourth. You can call it a bronze medal.” Shankland's positive attitude proved prescient as he topped GM Robert Hess in a playoff for third place. The Brandeis University student has called the U.S. Championship "his dream tournament for the year." Shankland scored some notable victories in 2016. He took first place at Fargenes international, won the Edmonton International, and also took first place at Biel Masters, as well playing for the gold medal winning U.S. team at the 42nd Chess Olympiad. Because of his usually strong, but sometimes unpredictable, play, he will be an intriguing player to watch at this year's championship. Jeffery won the 2016 U.S.. Closed Junior Championship, and is currently the highest rated player in the U.S. under the age of eighteen, with a FIDE rating of 2675(URS 2600). Jeffery Xiong of Coppell, Texas, is the second highest rated player in the world under the age of eighteen. He has shown tenacity well beyond his years. At age 15, he already has had an impressive list of results: the 2010 Under-10 North America Continental Champion, a silver medalist in the 2010 Under-10 World Youth Chess Championships, 2013 MVP of the United States Chess League for his perfect record in regular season for the Dallas Destiny, 2015 Chicago Open Championship, 6th place finish in the strongest U.S. Championship in history (2016), and was recently awarded the 2016 U.S. Outstanding Player Achievement Award by USCF. However, it is his creativity on the board and his maturity in defeat that has caught the eye of some of the most renowned chess grandmasters. Home-schooled now, Xiong already has been awarded a four-year scholarship to the University of Texas at Dallas. The school’s faith in him is well-founded, particularly since his undefeated play in this past spring’s UT Dallas vs. U.S.A. Junior All-Stars event helped his team, the Junior All-Stars, achieve victory over that same UT Dallas university program he may one day attend. 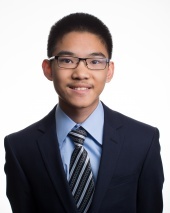 In 2016 Xiong won the U.S. Closed Junior Championship, and is currently the highest rated player under eighteen years of age in the U.S.
Gata is a four time U.S. Champion, winning most recently in 2014. He also captured first place at the 8th New York International, and the 2016 Cappelle la Grande tournaments. He is currently ranked No. 8 in the United States and No. 99 in the world, with a FIDE rating of 2668(URS 2678). 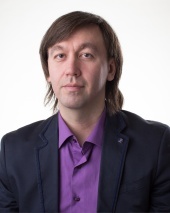 Gata Kamsky is a Soviet-born, American grandmaster. He was born in Siberia, Russia, in 1974 and learned chess at 7 years old. By 9, he had won the Under-15 USSR Championship, and then became a back-to-back Junior Champion of the Soviet Union at 13. Kamsky emigrated to the U.S. in 1989 and earned his FIDE Grandmaster title the following year, also becoming the youngest player ever rated in the FIDE world top-ten. Kamsky’s impact on American chess has been profound, having won his first of four U.S. Championships in 1991, and the following year he helped America grab its first-ever gold in the World Team Chess Olympiad. In 1994, at age 20, Kamsky became the youngest-ever to challenge for the FIDE world title and the first American since Bobby Fischer. The 20-game match against reigning champion Anatoly Karpov was finally held in 1996, in Elista, Kalmykia, in Russia. Kamsky lost the match 7.5-10.5, but substantial political controversy surrounding the event ultimately led to an eight-year hiatus from professional chess for the American GM, partially in protest. Kamsky returned in 2004 – “past his prime” at 30 years old – for an extraordinary second chapter in his career. By 2007, he had regained his elite form, qualifying for the Candidates Tournament that year and later winning the Chess World Cup as the 11th seed, knocking off Magnus Carlsen in the semifinals. In 2010, Kamsky won his second U.S. Championship – 19 years removed from his first title – and returned to successfully defend the crown in 2011. Kamsky earned his fourth U.S. Championship title in May of 2014, then rolled hot into the fourth stage of the FIDE Grand Prix, taking second place in Thessaloniki, Greece. His FIDE rating crested at 2763 in July, the highest ever in his career. Just before arriving in Saint Louis for the Sinquefield Cup, Kamsky went deep in the Chess World Cup 2013, but was ultimately knocked out by GM Evgeny Tomashevsky in the quarterfinals. In nine classical games versus Carlsen, Kamsky holds a 2-1 record with six draws. In eight matches against Levon Aronian, Kamsky has won only once against five losses, with two draws. Nakamura and Kamsky are tied 1-1 with 6 draws over eight career games. Some notable recent victories for the 2014 U.S. Champion have been first place results at the 8th New York International tournament and the 2016 Cappelle la Grande tournament. Alexander was the 2006 U.S. Champion and is currently #81 on the international ranking list and the sixth highest rated player in the U.S., with a FIDE rating of 2667 (URS 2643). Onischuk was key to America’s bronze medal finishes at the 2006 and 2008 Olympiads, and delivered a gold-medal performance on board two at the 2009 World Team Championship in Bursa, Turkey. 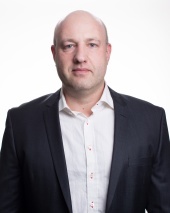 In 2012, Alexander Onischuk was named the head coach of Texas Tech University’s chess program, helping the squad return to the President’s Cup in 2014, finishing in a close second behind Webster University. He leads the TTU program back to the Final Four of Collegiate Chess in 2015, just before the start of the U.S. Championship. The 2014 season led to national recognition, with Texas Tech named “Chess College of the Year” and Onischuk awarded “2014 Grandmaster of the Year” by the U.S. Chess Federation. He has finished among the top three in the U.S. Championship seven times, and in 2015 Onischuk coached the Texas Tech University Chess Program which placed first at the Pan-American Intercollegiate Team Chess Championship. Daniel is currently rated 2646 FIDE(2623 URS), and is the ninth highest rated player in the U.S..
Grandmaster Daniel Naroditsky first learned the rules of chess at six years old, and it was not long before he was paving his professional future -- eventually becoming a three-time U.S. Scholastic champion, earning a gold medal at the World U12 championship in 2007 and winning the U.S. Junior championship in 2013. Naroditsky is the youngest published chess author in history -- now with two titles to his name. 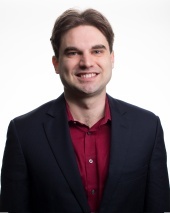 GM Naroditsky is an active ambassador for scholastic chess in the United States; giving simuls in schools, activity centers and chess clubs around the country. Aside from chess, Naroditsky maintains many other interests, including history, music, foreign languages, art and mathematics. He graduated from Crystal Springs Uplands School in Hillsboro, CA in 2014 and currently studies at Stanford University. Naroditsky received the prestigious Frank P. Samford Jr. Chess Fellowship, which provides access to top level coaching, study material and competition. Through 2014, Naroditsky traveled and competed in several elite tournaments around the world, including the London Chess Classic and the Qatar Masters, and turned in an impressive performance at the 2015 Tradewise Gibraltar Chess Festival. Varuzhan was the U.S. Junior Champion in 2003, and the winner of the World Open in 2002, 2004, and 2007. He also played for the U.S. in the 2009 World Team Championship and helped them earn the Silver Medal. GM Akobian has a rating of 2647 FIDE(2610 URS), making him the 10th highest rated player in the U.S.. The weather was so harsh in the years that Armenian-American Grandmaster Varuzhan Akobian spent in Mongolia, that his father forbade "Var" and his sister Armine, from playing outside. He taught them chess, a perfect indoor distraction. "From the very beginning," Var says, "I was different from other chess kids. It was never just a game for me. I always wanted to be a Grandmaster, and knew that I would do what it takes." As a teenager living in Yerevan, the capital of Armenia, Varuzhan spent all day playing chess and soccer. His teachers agreed that he could focus on chess, without fear of truancy charges. "This is one way in which Armenia is very different from the United States. If I went to high school here, I never could have spent so much energy on chess." He immigrated to the U.S. in 2001 and a year later earned the Samford Chess Fellowship, which allows a talented junior to focus on chess for two years. The prize paid off quickly, as he tied for first in the 2002 World Open and also won the Irme Koenig GM Invitational. The following year, Akobian scored 8/9 to win the 2003 U.S. Junior Closed Championship, winning his first seven games. He was officially awarded the grandmaster title in June 2004, after which he won the World Open again, clinching it with a sparkling win against Alexander Shabalov. Varuzhan excels in positional battles and admires the games and style of Armenian hero, World Champion Tigran Petrosian. His favorite opening with black, just like Petrosian, is the French Defense. Var's advice to players aspiring to improve is this: "Don't expect to see constant improvement. You build knowledge and work hard, and after a while, you'll see a big breakthrough." Recently, GM Akobian moved from sunny California to Topeka, Kansas, where his wife is attending law school at Washburn University. He has joined the Resident GM rotation at the Chess Club and Scholastic Center of Saint Louis, which brings some of the country's top players to the Chess Club to give private lessons, present lectures and share their chess knowledge with the club's more than 1,000 members. Yaroslav won the Cappelle la Grande tournament in 2010. He is currently rated 2605 FIDE (URS 2580), making him the twelfth highest rated player in the U.S.. 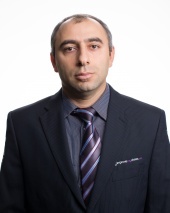 In May of 2015 Zherebukh switched his affiliation from the Ukrainian Chess Federation to the U.S. Federation, making him eligible to be the unpredictable wildcard in this year’s U.S. Championship. Alexander won the U.S. Championship four times; in 1993, 1999, 2003, and 2007 respectively. He is currently the 21st highest rated player in the U.S., holding a FIDE rating of 2564 (URS 2549). Known for fighting chess, Shabalov rarely proposes or accepts early draw offers. In the 2003 U.S. Championship, there were eight Grandmasters vying for first place. After fifteen minutes, the stage was almost empty. All the other contenders had drawn their games, ensuring them a decent payday but depriving fans of exciting, high-stakes chess. Shabalov's game was the exception. He played a six hour slug-fest against Varuzhan Akobian, ending in a victory for Shabalov. In addition to the 25K he won for first place, main sponsor Erik Andersson awarded Alex and Varuzhan $5,000 each for their fighting spirit. Shabalov won clear first in the U.S. Championship four years later in Tulsa, Oklahoma, besting Kudrin in the final to edge out the defending champion, 2006 Champ Alexander Onischuk. GM Shabalov is always a serious contender for the crown. He will arrive again in Saint Louis looking to capture a fabulous, fifth title in the 2017 U.S. Championship.